Choosing a healthy snacks and foods this year is what I am working for my family. Serving them a healthier food is a choice I want to accomplish, in which I would not have the hardest time to look for, what to give as there are companies who make such nutrition products for us. They aim to give healthy and pleasant snacks or meals to their customers. Somewhat we all enjoy and at the same time benefit from good nutrients it contains. That’s why, when I obtain the chance to write about Baobab Fruit cubes I never hesitated to strive the new flavor they have on the market. The delicious and no sugar added, bursting with antioxidants that packed with nutrients and fiber Mango-Strawberry-Raspberry fruit cubes I was thrilled. When I received the fruit snack in the mail, I was enthusiastic to try the sample, and when I nibble it, I was flabbergasted with the texture. It is good that my 3 years old loves it at all, just a perfect fruit snack indeed. To those who don’t know about Baobab Fruit cubes and new to them, here is a little bit of information I can spare. Baobab Superfruits are imports from southern Africa and are available in 3 delicious flavors: mango, strawberry, and raspberry. These chewy morsels are chock full of antioxidants, fiber, and essential nutrients, including Vitamin C, potassium, and magnesium. Contains only 92 calories per serving, no added sugar, and these fruit cubes are fun to eat at the same time healthiest dried fruit around. If you crave for, these fruits in your area yet, you don’t see them in the market stands. One way you still can enjoy them is by purchasing the Baobab fruit cubes. The same vitamins it contains with the freshest fruits, you can take it with you anywhere you go. My overall experience with the Baobab Fruit products is great; I have tried another way of eating healthy fruit snacks. 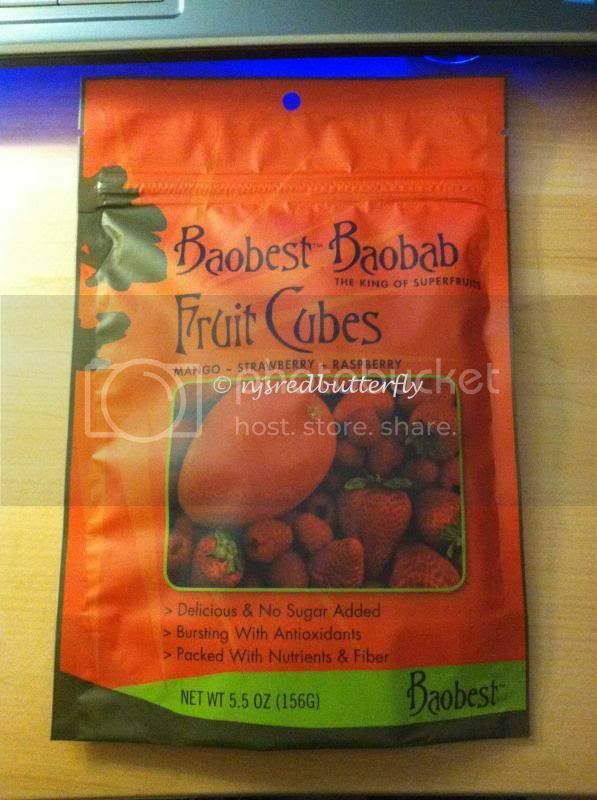 You wish to purchase, please visit them at www.baobabfoods.com. Don’t forget to follow them on Facebook, Twitter, and Google+. A disclaimer: This is NOT a sponsored post. I received the Baobab Superfruit product for free in exchange of my honesty review. The outlook I expressed is 100% exclusively mine. Dried fruits are always great to have in the pantry. When the fresh ones are not in season, they are my go to alternative, second to frozen variety. oh, I bring dried fruits in hiking, they are good source of calories and anti-oxidants we need during hike, and unlike fresh fruits, they won't get mushy. But at home, of course, I prefer fresh one, both fresh and dried have their own purpose. I sometimes dry purposely some fruits ( using dehydrator ) for hiking, but these days, I am kind of lazy to dry, I just buy dried ones, and I will look into this dried fruit brand, as this is really great hiking food. I myself love snacking on dried fruits especially when the fresh counterpart may be difficult to buy or eat. Love to try this. I like that there are healthy options for snacks nowadays. Yummy! Fruit cubes are nice healthy snack alternatives!